Help this girl to to be a trendy teenage girl in a pink style. 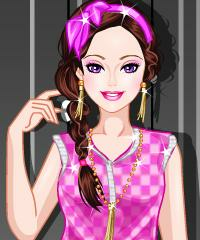 Style her up in pink and select the best hairstyle to go with the pink theme. Cool game from didigames.